Hudson's Bay Co. has completed a deal with an Austrian retail heavyweight that will see the two firms create a joint venture to operate existing businesses in Germany, Belgium and elsewhere in Europe. The Canadian retailer announced the agreement in a statement early Tuesday, saying it's formed a "strategic partnership for its European retail and real estate assets" with Austria-based Signa Retail Holdings. The deal has been in the works for some time, with HBC confirming in July that it was in talks with Signa. 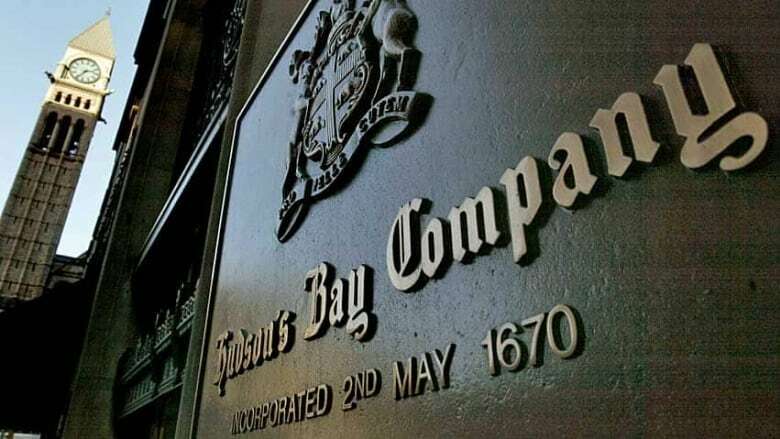 The European firm had made an unsolicited offer late last year to buy HBC's German operations, but withdrew it earlier this year after it was rejected by the HBC board because it undervalued the business. Signa owns Kardstadt, a department store selling everything from apparel to household appliances, while HBC runs department stores overseas called Galeria Kaufhof and Galeria INNO. The new venture will include those assets, as well as the European arm of HBC's Saks Off Fifth brand, Hudson's Bay in the Netherlands, Kardstadt sports stores and both companies' food and catering businesses. "This transaction builds on our recent efforts to streamline HBC and provides a clear path forward to improve our European operations," HBC chief executive Helena Foulkes said in a statement. "The creation of a stronger operator in Europe allows us to focus our attention on our North American banners, helping to ensure we are making the right strategic decisions to drive performance and profitability within those businesses." The deal is subject to regulator approval in Europe, and is expected to close within the next 90 days.